Team Matrix hosted Cyber Security Awareness Month ’18 (CSAM’18) on October 6, 2018. The theme for this year was “Cyber Resilience”. The students had brilliantly decorated the entire campus in accordance with the theme. 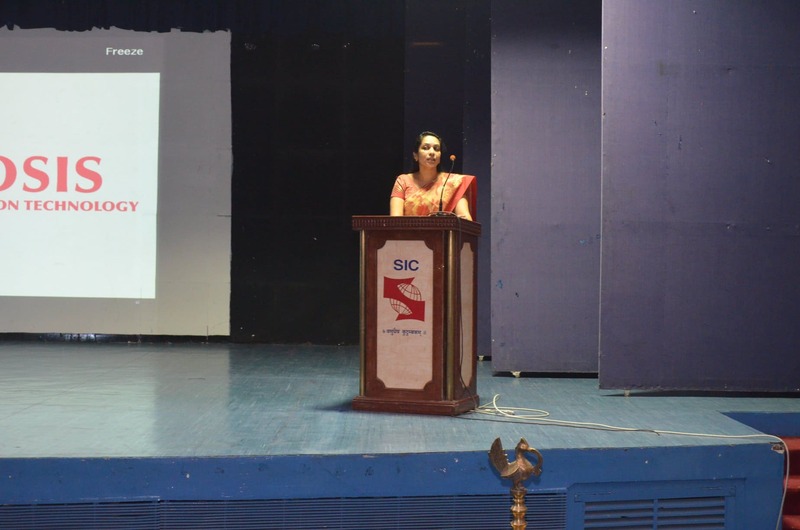 Many students from other colleges actively participated in this event and made it a grand success. Dr. Dhanya Pramod, Director of SCIT along with Mr. Krishna Sastry Pendyala, Executive Director of PwC lighted the traditional lamp and inaugurated the event. 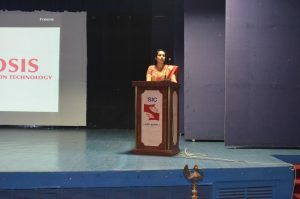 Dr. Dhanya Pramod welcomed the various dignitaries and the students to CSAM’18 and gave them insights on how Cyber Resilience is playing a major role in today’s changing environment. Mr. Krishna Sastry Pendyala delivered the key note speech in which he spoke about the emerging cyber-attack trends and the threats associated with them. Mr. Kushaagra Mehra from Smokescreen Technologies gave a special talk in which he enlightened the audience about the modern approaches taken to build resilient systems. He also threw light on the technologies associated with building such cyber resilient systems. The various dignitaries then took to the stage to engage the audience in a panel discussion on the topic “Benchmark Security Culture: Advanced Cyber Defense”. Mr. Aannaaaand Deshpande, Privacy Counsel, Cognizant was the moderator for the discussion and introduced the audience to the topic and engaged all the panellists by presenting thought-provoking questions to them. Mr. Siddhesh Parab, Risk Advisory – Cyber Risk, Deloitte spoke about the role of Robotics Process Automation in the Security field. Mr.Milind Thorat, Co-founder, Cyber Security Solutions LLP highlighted the need to have a common sense approach to securing organisational vulnerabilities. Mr. Pawan Desai, CEO, Mitkat Global Private Limited & Mitkat Advisory Services shared his views on the importance of getting the fundamentals right in order to succeed in implementing security. Mr. Narayan Neelakandan, Co-founder and CEO at Block Armour spoke about the need to bring in creativity even as security challenges and threat responses grow in sophistication. The panel concluded with the sentiment that the need of the hour is for employees and managers to change their perception of security and the technology empowering it. The students then participated in Q&A session. Ms. Vidyavati Ramteke thanked the panellists and the audience for their active participation and contribution to the event. Events like Felonious Exposius, Ripple Rumble and Qureka were conducted as part of CSAM’18. Felonious Exposius tested the crime scene solving capabilities of students while Ripple Rumble and Qureka engaged the students in quizzes on the latest trends in Information Security world. The various competitions conducted provided a platform for the participants to display their talents. The spirit of teamwork, leadership and innovation displayed by the students along with the combined efforts of the Management, Faculty and Team Matrix made the event a huge success.